You don’t need a huge backyard to enjoy the benefits of a clear, refreshing pool! 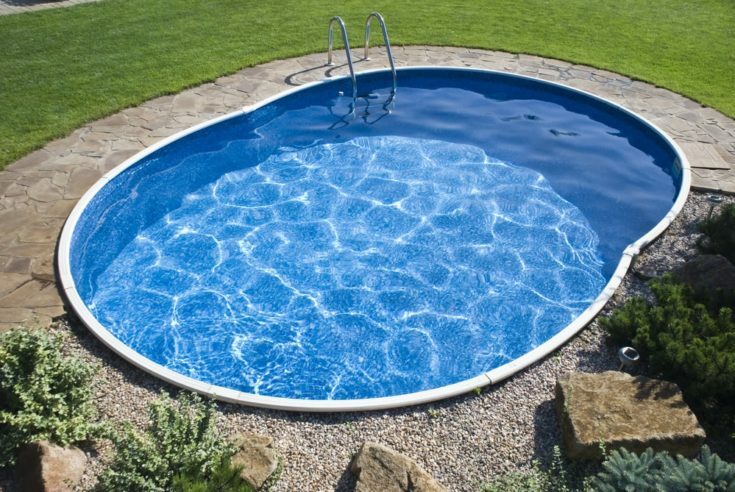 You can pretty much fit any sized pool in your backyard, you just need to prepare and adjust for size and space. 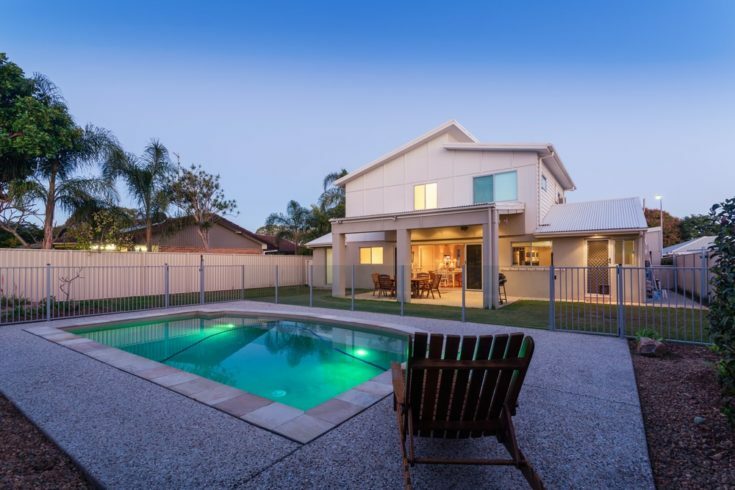 Although you may immediately go to a huge, sparkling pool in your mind, in reality, you can get the same effects from a smaller pool in small yards that can be just as refreshing and just as fun. We’ve rounded up some of the best backyard small pool ideas that you can easily try out or use as an idea to create your own sparkling pool in your own backyard! 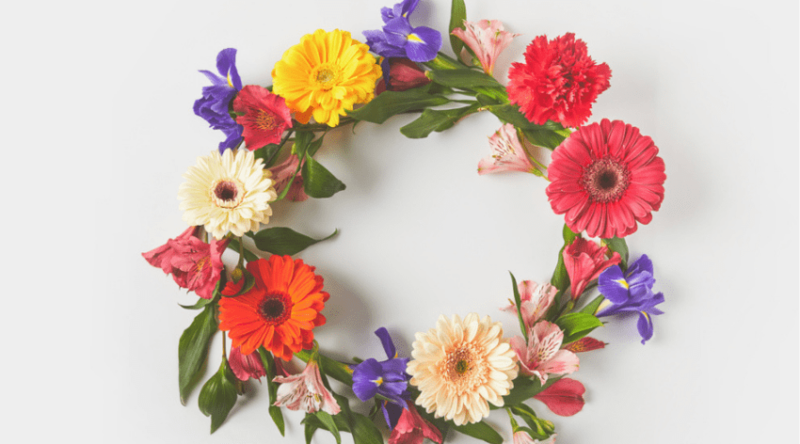 Keep reading for all the details on these super amazing ideas. This gorgeous blue lagoon style design features plenty to love. The wonderful color of the water seems to just beckon you to go sit in it and enjoy the views. This would make a great concept for a smaller backyard because the shape of the structure is round enough to feel larger. This lovely set up almost looks like something you’d find in a swanky bathhouse. With its cool design and wonderfully greenish water (much like the water you’d find in a fancy spa), this setup is sure to beckon you to come on in and relax for a while. This smaller backyard concept features the best of both worlds. You have a good-sized, but still a bit smaller pool in the far back, and a wonderful hot tub or Jacuzzi in the front of the setup. 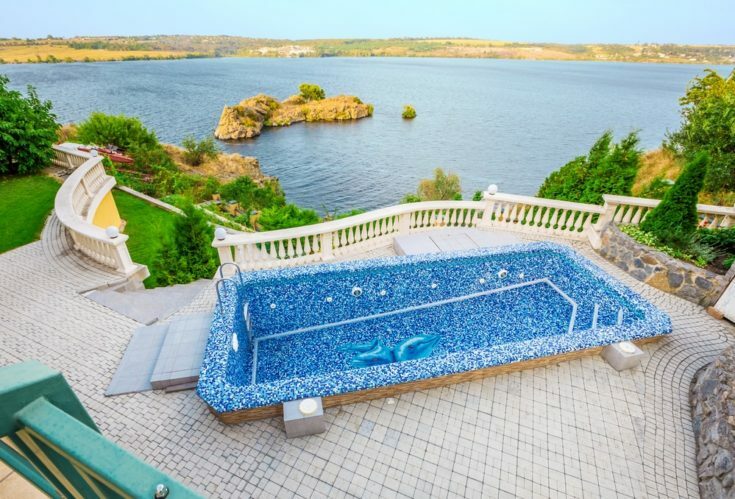 This would be the perfect area to go for a swim, then relax sore muscles in the tub. 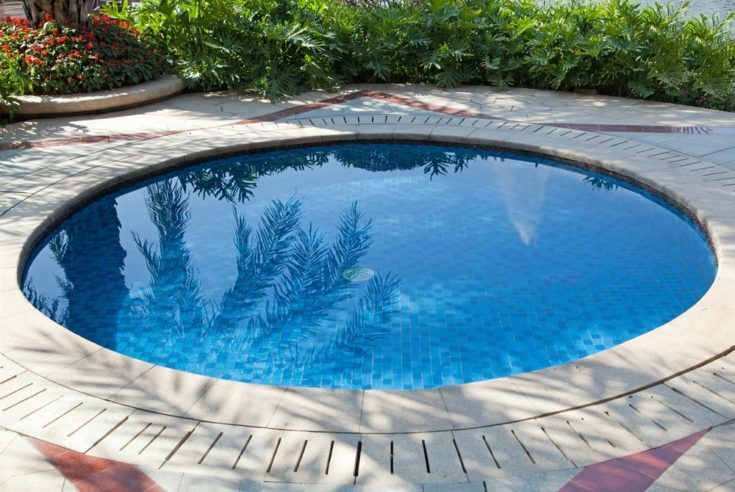 This longer, narrower pool is a great way to enjoy the benefits of a pool without too much hassle of a very large swimming area. This is also a super swanky design that you could easily find in any nice hotel or spa. Incorporate one of these into the mix and watch your guests be wowed. 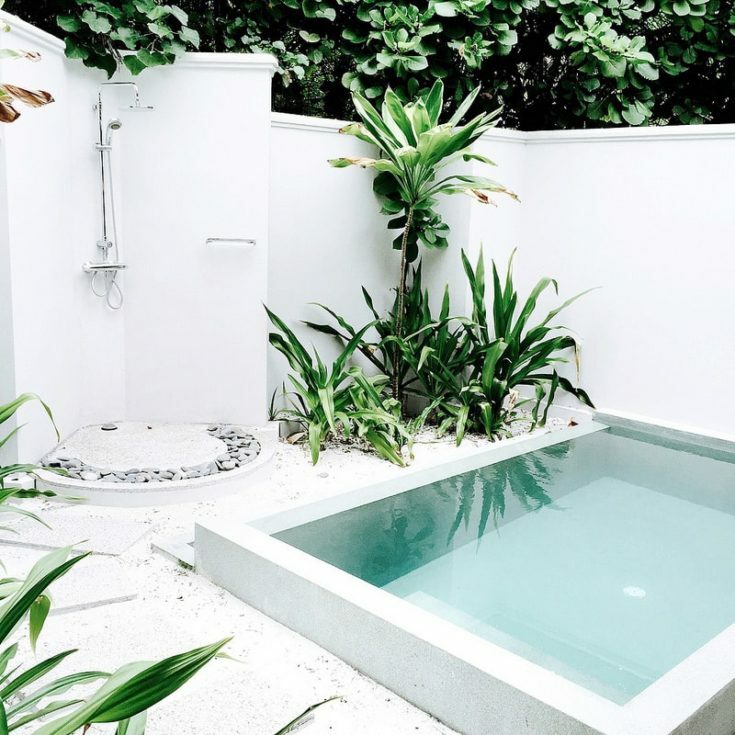 This small backyard pool is super pretty to look at because of the blue tiles and sparkling, clean water. It doesn’t matter that this structure is smaller due to its gorgeous design. 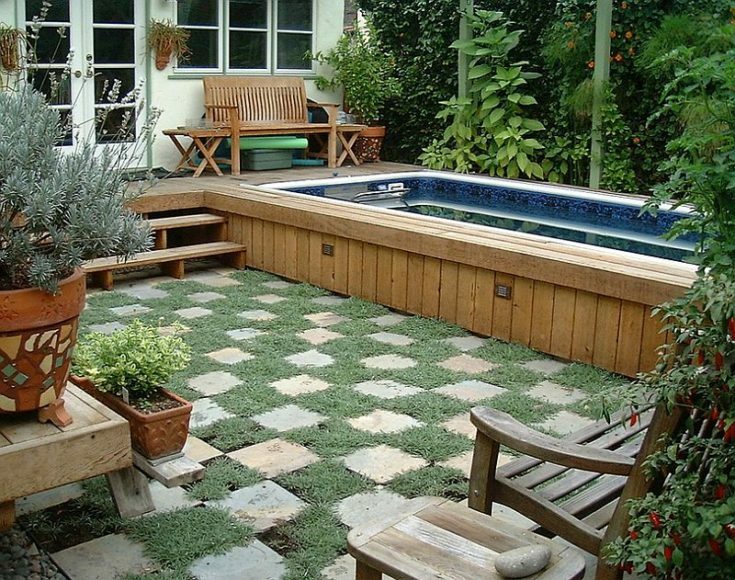 The blue tile really adds so much to the space that you could even double it as a piece of backyard art. This color-changing oasis is the perfect addition for the backyard that is a super smart investment, too. This would be super fun for the kids to play in and they won’t even care that it isn’t a super large design. Plus, the upkeep on smaller designs is much easier than larger ones and a lot cheaper, too. This crystal oasis is sparkling under the summer sun. 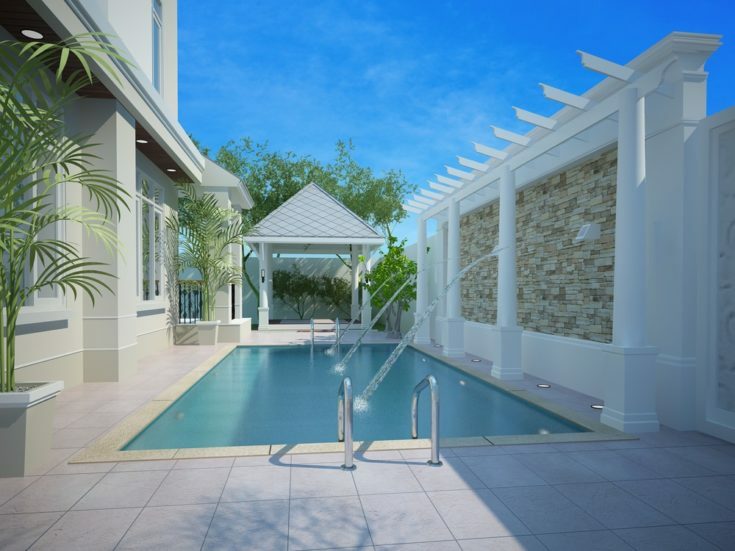 This design is so gorgeous that you wouldn’t even notice or care that it isn’t a standard sized pool. 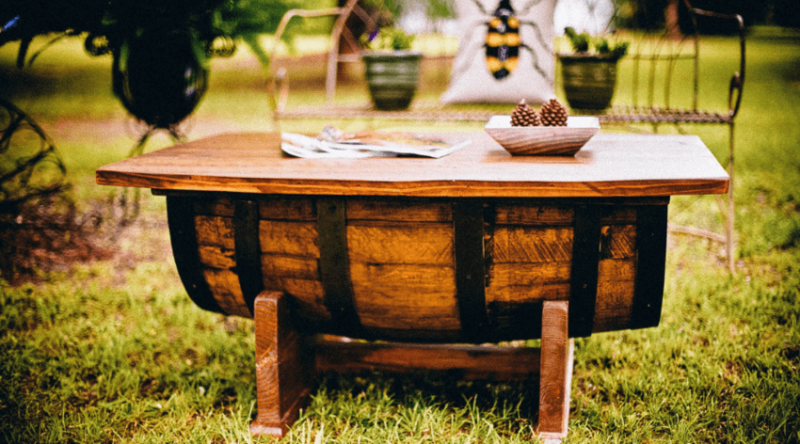 This would be a great addition to any backyard because it will add so many hours of summertime fun in the sun. This setup in the sunset is a gorgeous sight. This would be a perfect pool for a suburban home that is overlooking a vast countryside. This would also make a fun escape from the normal day-to-day, as we often forget to take time out and enjoy some fun time with friends and family. This design with a fountain is a super interesting addition to the backyard. Depending on the size of the backyard, you can either scale up or down to suit whatever scale you may have. This is also a great water feature that you could easily host patio parties near. This tiny swimming hole could easily be used as a kiddie pool or even as a leisure design. Although it is small in size, it’s truly gorgeous design and color scape will make this pool an enjoyable feature by everyone who uses it. This is also a safer option of a pool for a family with kids since you can find these shallower. This half-moon design is a super great shape and size. This would make the ideal setup for a very small home or even a townhome that needs a little something extra in the backyard. This is also a fun way to get the kids to be active over the summer and not have to spend too much money. This creation is small, but it is a bit larger than the other ones that we’ve seen. This is a good sized pool, however, for a home that may be a bit smaller, but has an adequately big yard that can easily house this pool. You also will save money on chemicals and maintenance. This one comes complete with a fancy fountain that makes everything just pop. 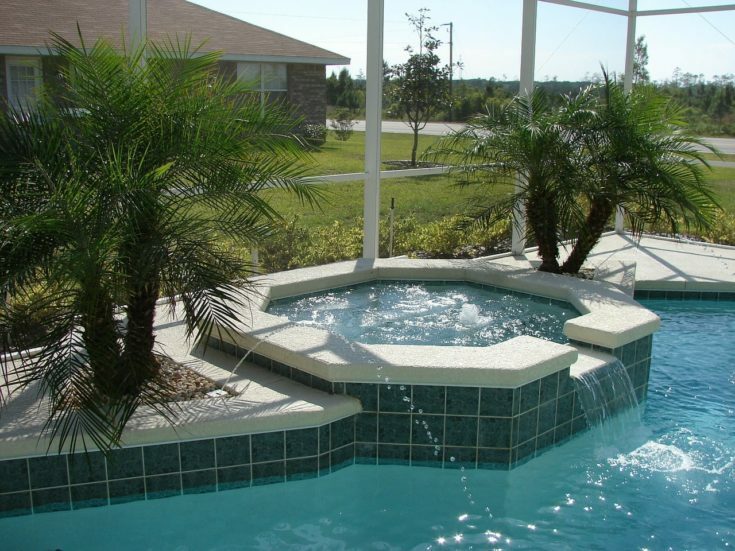 This is an extravagant water feature that is sure to stun all your guests and keep the pool cleaner, actually. The water feature acts as a filtration device, in a sense, since it keeps the water moving. This mountain creation is the perfect thing to keep you cool on those hot summer nights. This scene also appears to be within a desert setting, so the days tend to get very hot there. This would be a great way to cool off after a long day spent hanging out in the sun. 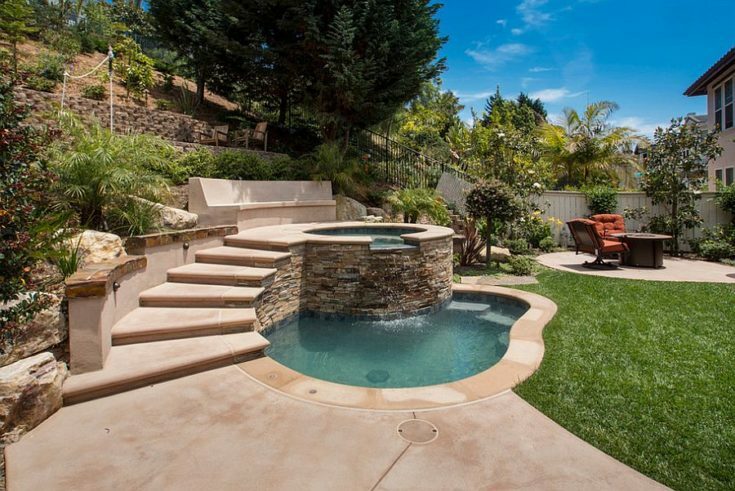 This spa-like water feature is the perfect element for a relaxing backyard. ­­This is also a really great place to enjoy a cocktail out on the patio with friends. Your house would definitely be the house where all the block parties end up. This is also a great way to keep the vacation at home with this element. This lima bean shape is the perfect backyard attribute when it comes time to float the summer away and take things a bit easier. This is a more classic shape of a standard design that is just as good as a full sized pool. Invite the neighbors over for a poolside barbecue and enjoy the day. 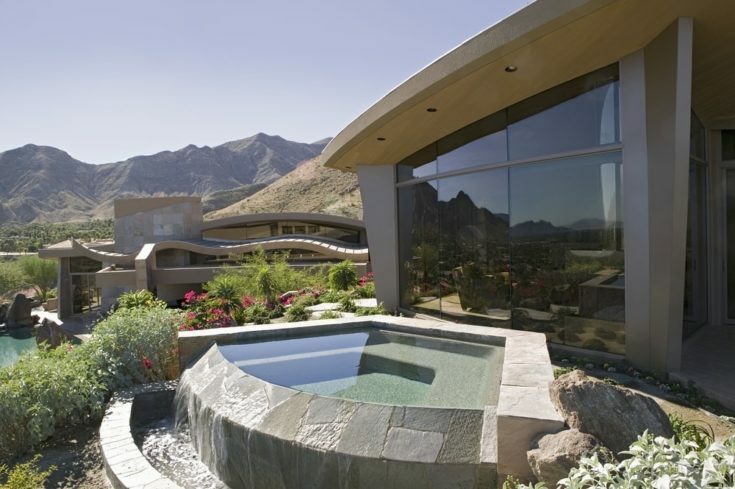 This unique swimming hole can also double or just remain a pretty glamorous water feature. 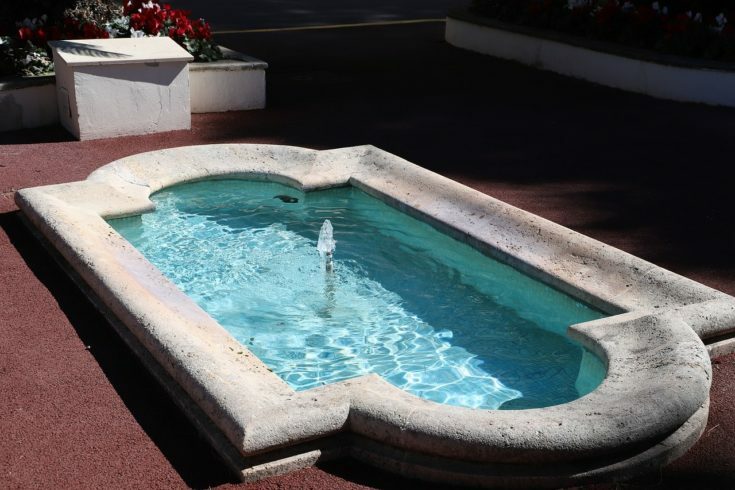 This is the type of water feature that will definitely draw attention and can also be used to enjoy a refreshing dip on a hot, summer day. This one is sure to impress all of your guests. This one is set up in the background of this patio set, but that doesn’t mean that it is to be ignored. Quite the contrary, this pool is a sort of save the best for the last feature. 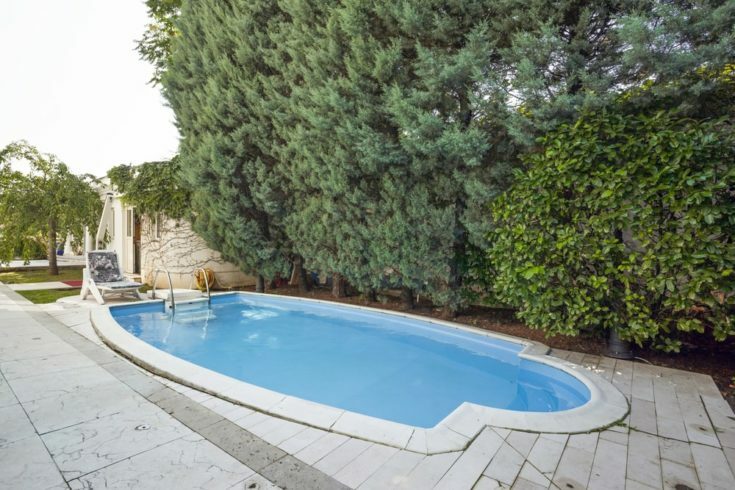 The pool is that classic rectangle shape and is the perfect size to invite the neighborhood kids over for a dip in the water. 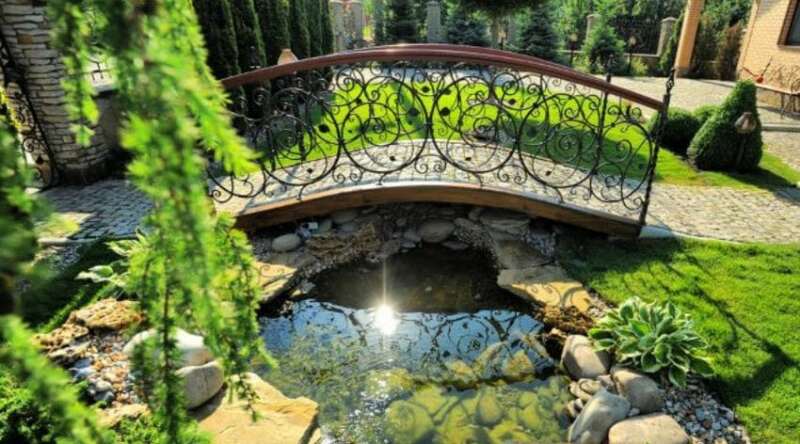 This one acts as a kind of escape from reality, but the beauty is that it’s in your own backyard. This pool matches the theme of the house pretty well in that they both mimic a sort of tropical bungalow or jungle escape. 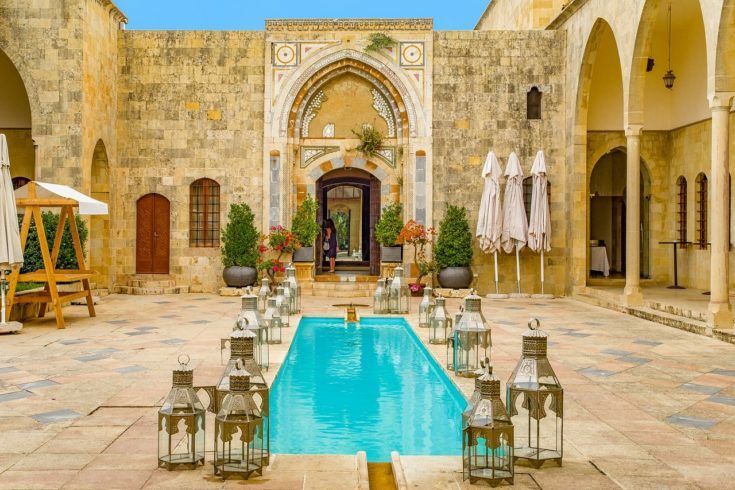 This pool could very well be your private lagoon in your own special paradise. A glowing, blue kidney bean shaped pool will be the best thing you could do for yourself this summer. 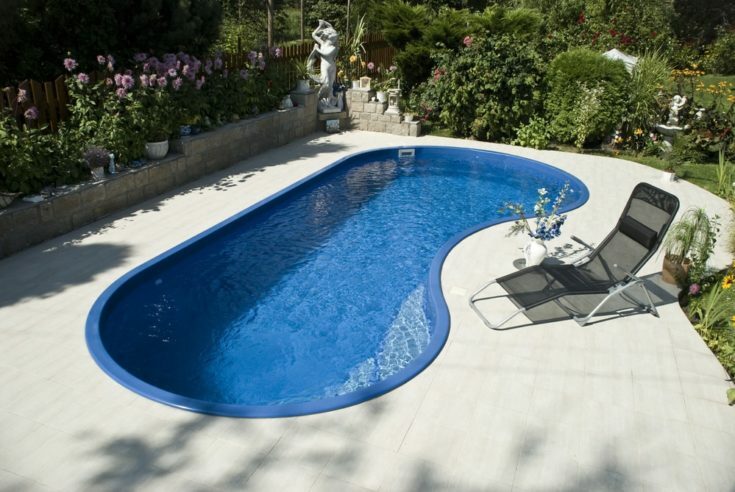 This is a gorgeous pool with a stunning blue color that is sure to draw everyone’s attention and lure everyone into the water this summer. Pair this with some tropical drinks and you have a party. 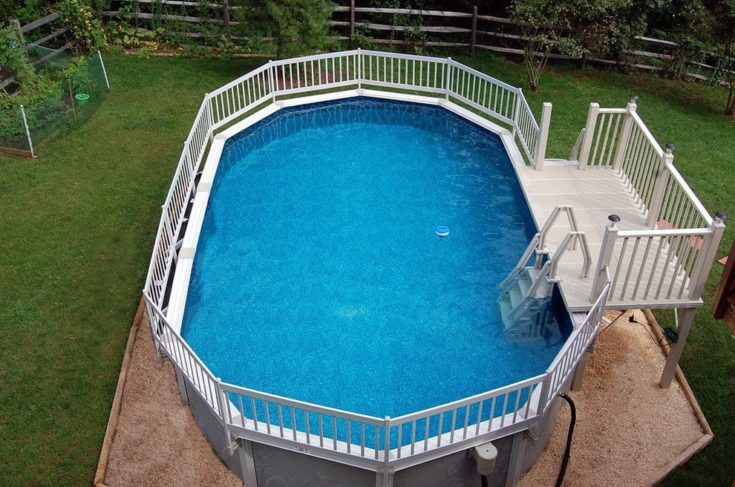 This above ground pool comes complete with nifty steps so that you can easily get in and out of it. 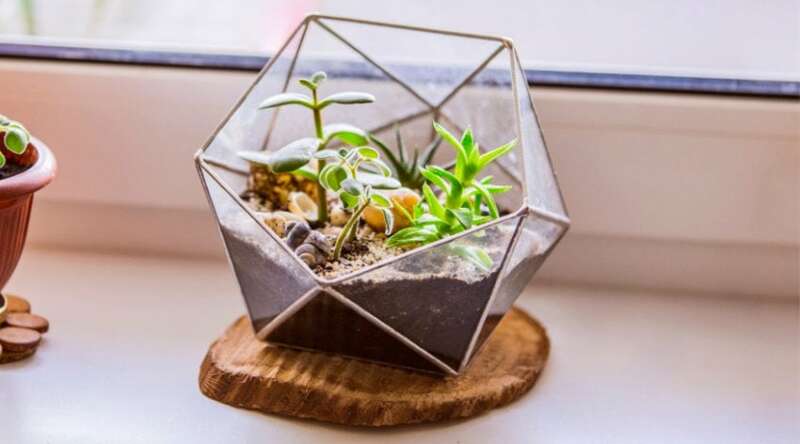 Above ground, they are great because you can purchase them in all kinds of sizes and you can find all sorts of shapes, too. They are also super great because they aren’t permanent and you can take them apart. This one looks like something you’d find in an extravagant palace because it’s so beautiful. This would be the perfect setup for a larger house with a larger yard that can equip such extravagance. 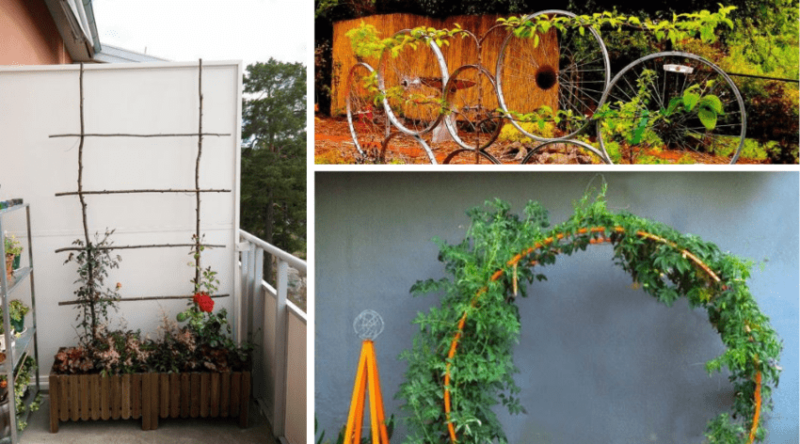 This is also a super gorgeous way to add a sort of community or social space into the backyard. This design is something you’d find in a fancy villa or maybe even in a hotel somewhere. This would also be a great accessory to add to a spa area or a spa resort that can incorporate all sorts of special features, just like this fancy pool. You’d be sure to relax in this pool. 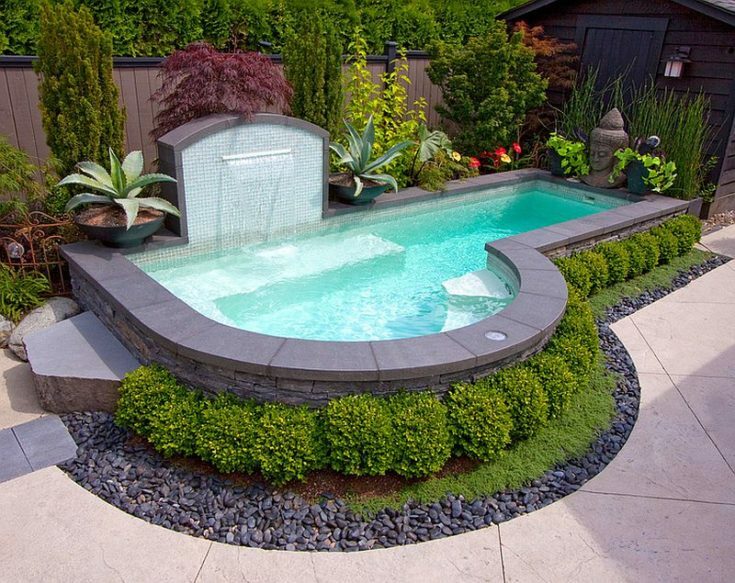 This simple pool design almost takes on the style of a Jacuzzi, but this one is a bit fancier. This is a great way to incorporate a deck into the mix, as well, if you wanted to add a sitting area for socializing. Whether you have a huge backyard or a smaller backyard space, this is an ideal setup. This modern backyard is the epitome of relaxation. There isn’t a whole lot of distraction or unnecessary elements, but this pool is a great standalone. This is the focal piece of the whole backyard but it’s also entirely functional, as well. This makes for a great socializing area with friends. 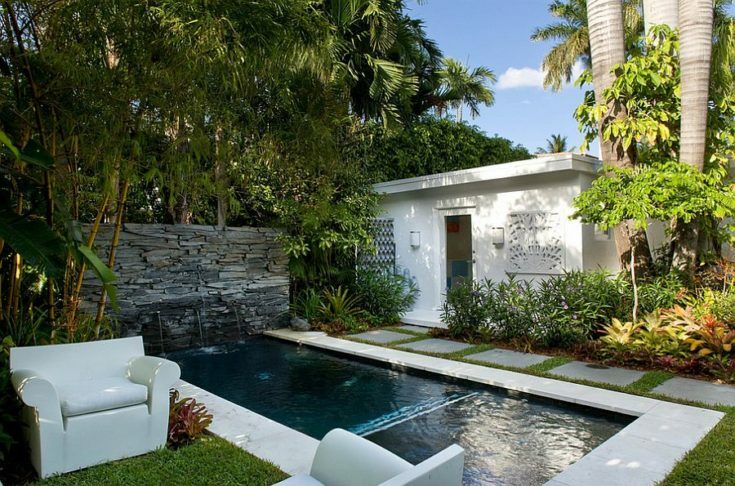 This design looks just like a pond amid this wonderful backyard space. This is a really great concept for a good sized backyard that doesn’t need a whole lot of extra to fill the space. 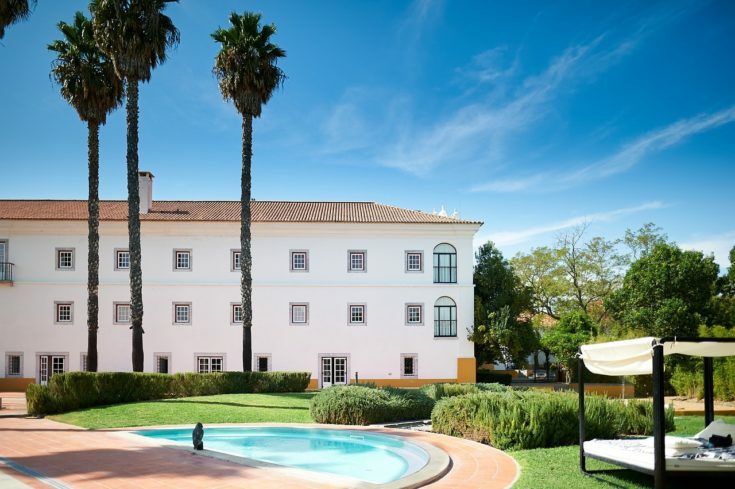 This is also a good sized pool for kids or a small family to enjoy. This is sure to be a hit in this yard. 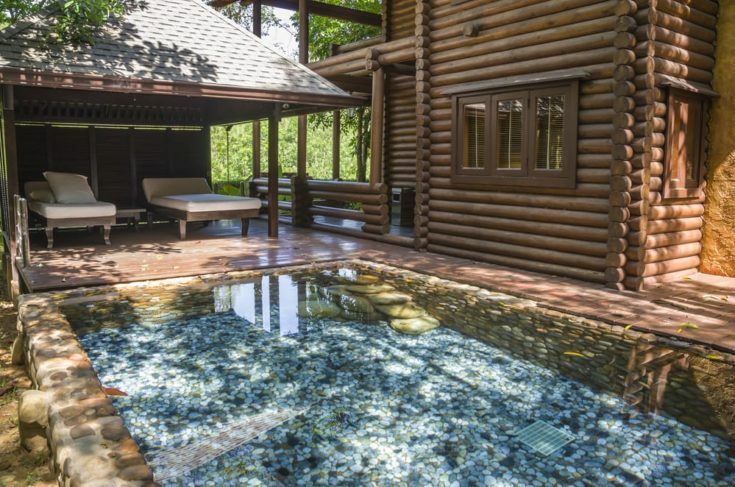 This luxury swimming hole is a gorgeous addition to this log cabin style or country chic home. The pebbles among the edges and at the bottom of this pool make the pool look good enough to be in a spa somewhere up in the mountains for a romantic or relaxing retreat for two. A place to swim is sure to help you relax as it has all the elements for a perfect day or relaxation. 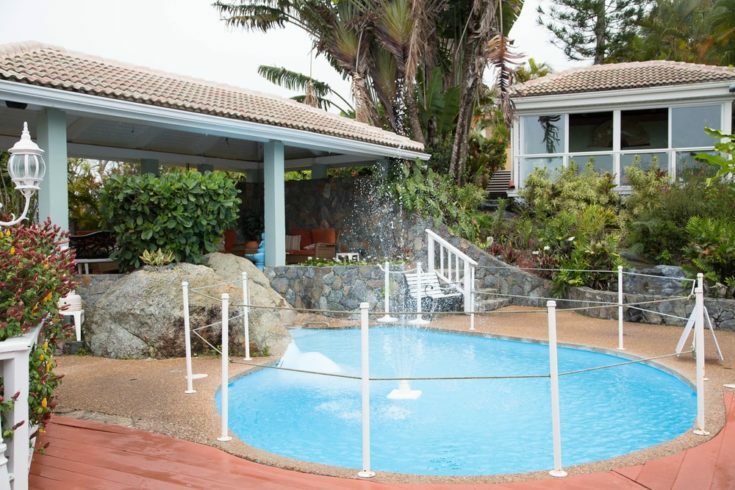 From the delicate water feature gently babbling into the pool to the Zen styling of the plants along the edges, this pool is sure to help you quiet your mind and relax. 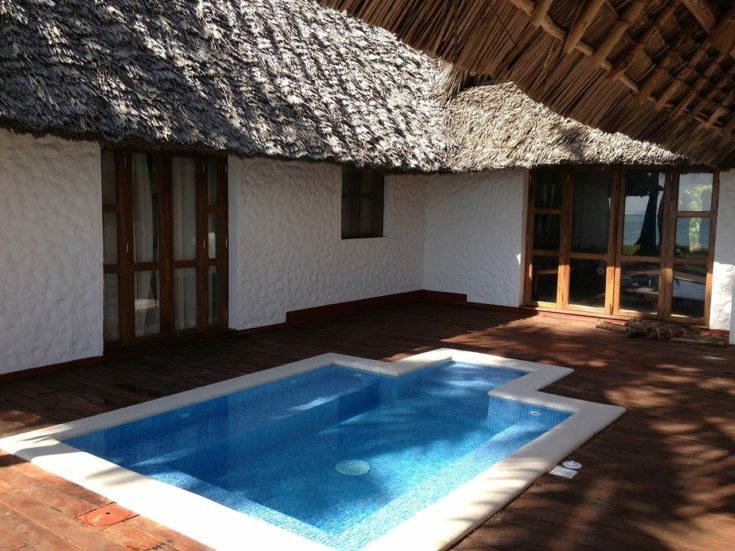 This tiny pool may also double as a Jacuzzi or hot tub, or maybe even a heated pool. Either way, don’t let its small stature fool you. 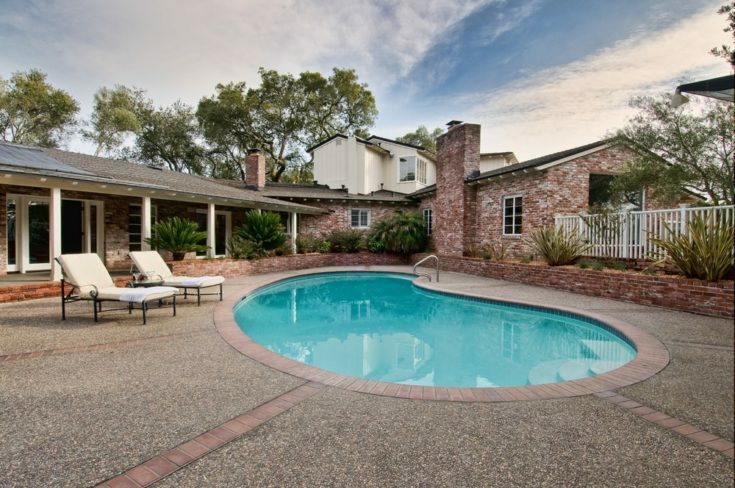 This elegant pool is sure to help you blow some steam off and get you into that relaxing frame of mind. This would be a great way to chill out and do some relaxing. 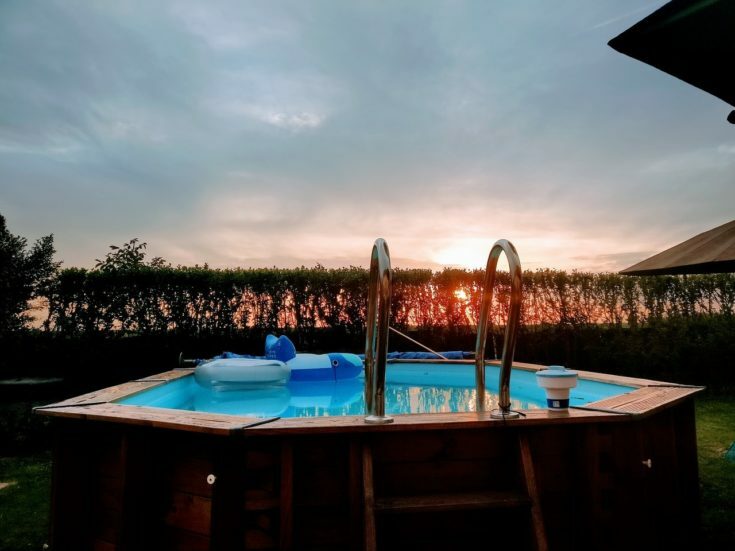 This outdoor Jacuzzi is wonderful because it’s large enough to sit several people and would be the ideal place to chill out and relax. 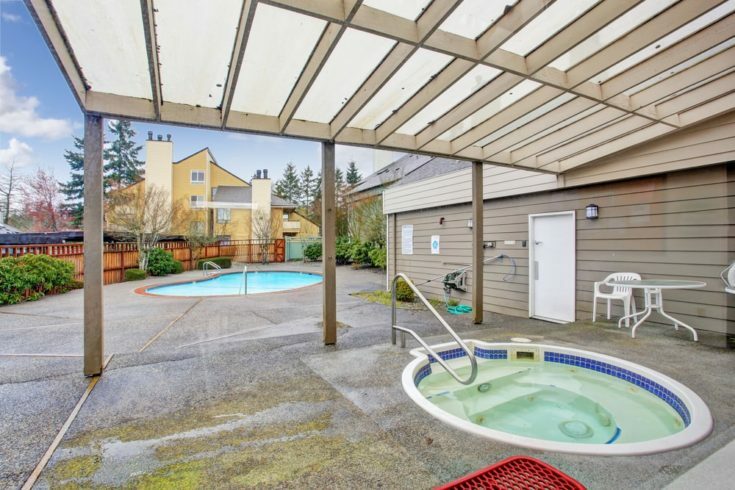 If hot water isn’t your thing, you could easily shut off the heaters and simply sit in this Jacuzzi like a mini pool. This is a wonderful feature to have in your backyard. As you can see, there are so many great ideas you can try when it comes to small pools for the backyard. Whether you have a larger or smaller spec, it’d be easy to incorporate so many of these ideas into your own backyards setting, you just need to determine which would be the better option for you. Do you have any experience with a small backyard pool? We’d love to hear about your experiences. Let us know in the comments about your past with these tiny backyard pools so we can get some more insight into the matter.